Currently there are many merchants looking to switch shopping carts to get more out of their e commerce businesses in terms of growth as well as compliance. As I literally travel around the world I am asked all the time what am I seeing in terms of “must haves” from a shopping cart. 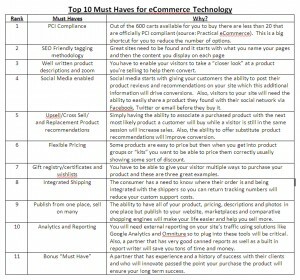 Not sure how your current vendor stacks up on these “must haves”. 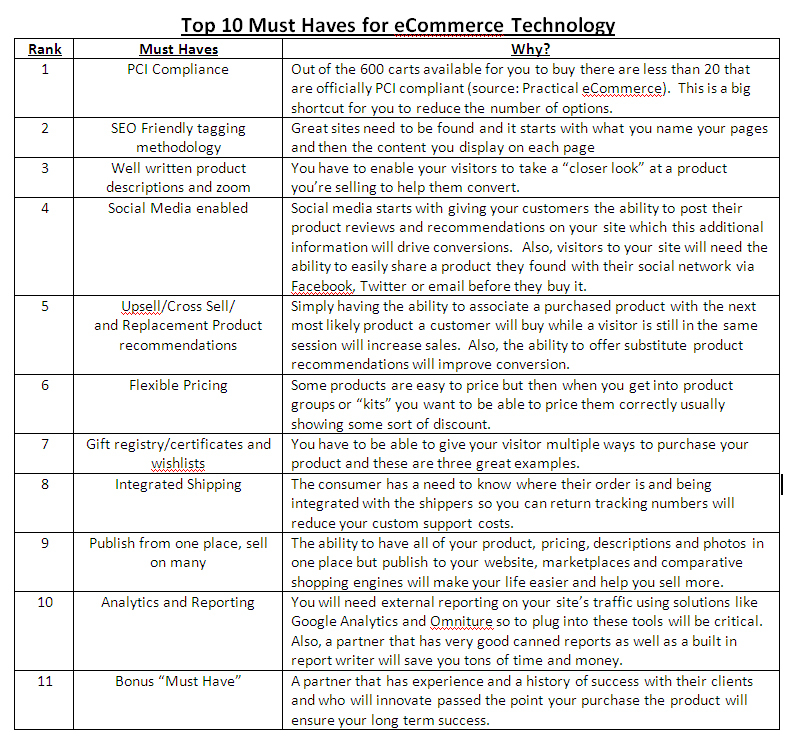 Also, I have another post on e commerce strategies that I’ll share with you at a later date. This entry was posted on Monday, August 2nd, 2010 at 9:23 am	and is filed under CEO. You can follow any responses to this entry through the RSS 2.0 feed. You can skip to the end and leave a response. Pinging is currently not allowed.